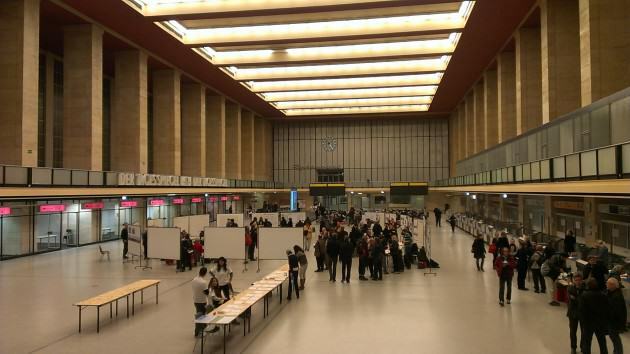 On a Friday night at the end of November 2014, nearly 200 people arrived in the departures zone of Berlin’s former Tempelhof Airport for five hours of presentations, working groups and community-led exhibitions. A projection screen stood on the baggage carousel, and former glass-walled airport offices held bulletin boards and tables of sticky notes for brainstorming sessions. Exhibition boards in the front half of the hall featured topics ranging from community gardening to unicycling and performance art. The occasion? A consultation on the management strategy for Tempelhof Park, Berlin’s former inner-city airport, once the site of the Berlin Airlift and now preserved for green and community uses. A prominent theme in discussions was the ecology on site, particularly the “pioneer programs” for urban agriculture. While arguably the most talked-about new park in Berlin in recent years, Tempelhof is by no means the only green space in the city that has received this type of attention recently. 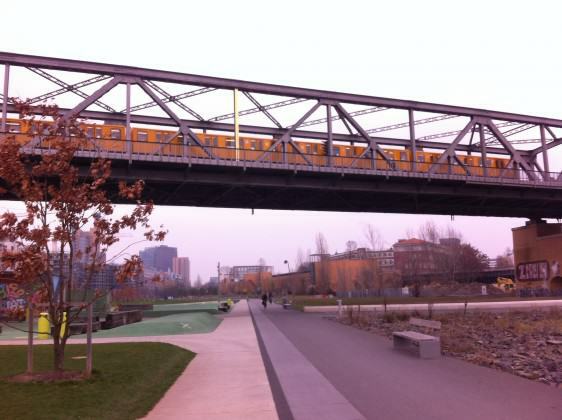 Berliners are passionate about their neighborhoods (or in local terms, Kieze) and the city is known throughout Europe for its green spaces—whether parks, protected woodland or “leftover spaces” found along historic stretches of the Berlin Wall. 338 Natural Protection Areas and 112 Landscape Protection Areas fall within the city’s boundaries, and about 45% of the city is occupied by green space or water, including 20% protected woodland. Berlin’s parks often feature a mix of these types of spaces, and as a result have led to a rich tradition of the study of urban ecology. These green spaces serve an important role in local communities, providing recreation space and breathing room, particularly in central districts where the majority of homes are rented apartments. As a result, community activism has a strong tie to local green spaces. Berlin’s planning processes also have an extensive tradition of community involvement and are proactive in their efforts to incorporate local interests into newly designed parks, as well as into the technical Landscape Plan for the city as a whole. Two recent, acclaimed park projects in Berlin offer different but equally striking stories of public involvement in the development process: Tempelhofer Feld and Am Gleisdreieck. In both cases, a thorough public process guided a design competition for a large-scale, reclaimed public space. Yet in one case, citizen participation successfully shaped the design outcome, while in the other case citizen activism transformed the fate of a green space beyond its initially intended use. The Tempelhof Park consultation event followed a citizen-initiated May 2014 Referendum on the future development of the 380-hectare site. Larger than Central Park in New York City, the entire site will remain as parkland due to the Referendum, leading discussions to shift from the design potential for the site, to the optimal approach to managing it as an exclusively green space. Berlin’s Senate Department of Urban Development and Environment is now in the midst of work on an EPP (“Entwicklungs & Pflegeplan” or “Development & Maintenance Plan”), until autumn 2015. The process will involve open community meetings, citizen working groups and a recently-launched online platform. Much of the discussion is likely to focus on the feasibility of continuing existing “pioneer projects” in the park and means of incorporating citizen groups into long-term decision-making structures. 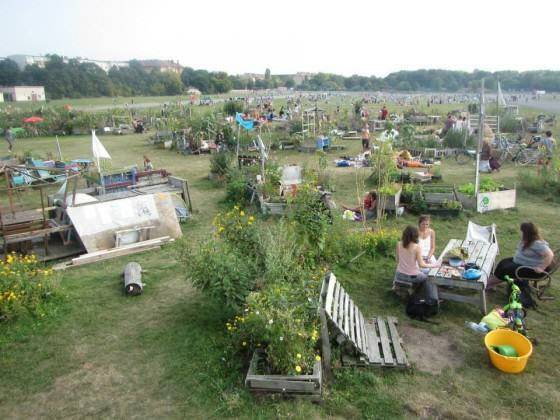 Prior to the Referendum, public engagement and activism about Tempelhof had been underway for years. Many of the discussions initially focused on preventing the closure of the historic airport itself, which was to be phased out due to diminishing financial returns and plans for a new regional hub. However, a 2008 Referendum in favor of its continued use was void due to low voter turn-out. Subsequently, thousands of Berliners participated in the Senate Department of Urban Development and Environment’s site planning process in advance of an international design competition to determine the future of the site. Public meetings and forums about the project began in 2007, while the airport remained open, and eventually included meetings, tours, exhibitions and lectures on broad and specialist subjects. Information-gathering included a 2007 web dialogue, which drew 68,000 users and 2,500 idea contributors, and a survey distributed to 6,000 local households and 1,000 households elsewhere in Berlin, which garnered a respectable 25% response rate. An additional 17 moderated focus groups sought to engage migrants groups which historically had not participated in surveys, with individuals contacted via associations, religious groups and the City’s Quartiersmanagement program. Meanwhile, the City developed a brief for the development of the site which called to preserve the character of the open space, proposing that surrounding development be “climate-friendly and resource-efficient,” “future-oriented” and “integrated” or inclusive. After the closure of the airport in 2008, in-person consultation continued, with numerous large-scale public events. 3,500 attended a 2009 “Call for Ideas” held in a hangar on site, which was re-opened for the first time since the airport’s closure. 2,400 also visited a subsequent Open House showcasing the concepts developed by the six finalists in the international design competition. Proposals focused on a mixed-use development strategy to relink the site with the surrounding city, including partial use as a park alongside the development of housing and a major new public library envisioned to be an equivalent to Paris’ Pompidou Center. To the City, the site offered the opportunity to create much-needed affordable housing and include large-scale cultural uses such as the library, which would rehouse the famous America Memorial Library collection. Alongside consultation efforts about the park and site as a whole, a parallel consultation, exhibition and design competition process was also underway for the library building proposal. Public scepticism focused on the library to some degree, given Berlin’s recent history with cost overruns for large-scale public projects, such as the new Berlin-Brandenburg Airport. Meanwhile, community interest in the site grew, particularly after the vast space opened as a temporary park in 2010 in advance of the design competition outcome. With the runways open for biking and kitesurfing and the launch of a popular community garden, the park and its unique historical setting captured the imagination of the city. The nearly treeless setting was far different than any other park in the city, and the immense space became a canvas for community interests. “Pioneer” groups piloted projects to test out uses for the park, including the community garden, public art and sports initiatives. The success of the pioneer projects influenced the direction of the design competition, with the jury selecting a proposal that was seen to capture and reinforce the essence of the site’s wide-open spaces. Citizen initiatives soon began to advocate for a preservation of the site as a whole, with a petition led by the “100% Tempelhofer Feld” group ultimately bringing about the Referendum that determined the future of the site. This majority vote then preserved the site as a park, eliminating the possibility of residential or community facility development and shifting public discussion towards the future management of the green space. The Referendum decision also determined that preserving the existing atmosphere and ecology of the park would be a priority—meaning that the site’s non-traditional, sparsely planted “temporary” landscape would soon become permanent. The City’s current consultation on the “Development & Management Plan” is unlikely to attract the numbers that engaged in the prior planning process, but the project remains an interesting case study of public participation in open space development. The citizen engagement process is unlikely to be easy, as many citizens were vocal about their distrust of development proposals during the design competition phase. Another challenge will be complying with post-Referendum legal and financial realities—such as the now-prescribed lack of building—while still considering a range of ideas for the site. Finally, it is of course a challenge for the City to administer an engagement process for a project that has evolved so starkly from original plans. Regardless of these concerns, the City continues to seek a broad range of park users to advance the “Development & Management” plan, with discussions focused on the opportunities and trade-offs of maintaining a park of this size. While some individuals have shown resistance to working within the framework, the process seems to have been generally accepted and has attracted participants of a range of ages and interests. • Phase 1, Inventory, Oct 2014–Feb 2015: An extensive series of public events coinciding with an online information-gathering phase. The City anticipates using the themes and comments from online and in-person dialogue to structure and advance an overall strategy. 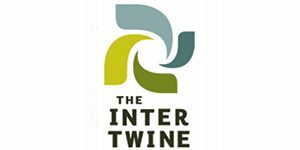 • Phase 2, Working Groups, March–June 2015: After a public Forum on the findings of Phase 1, Working Groups will develop more detailed strategies and input on topics such as nature, sport, recreation, landscape and urban climate. Public events punctuate these three phases, from focused workshop sessions to larger plenaries on the overall findings. Moving forward, it is clear that the City intends to build on citizen commitment to the park and establish the type of open and transparent process that citizen groups would like to see. However, an ongoing challenge will be maintaining trust between all parties, as well as developing a maintenance plan which is both feasible and respectful of community aspirations for the site. While the Tempelhof community activity ultimately led to the preservation of an existing site, the Am Gleisdreieck process instead led to the development of a completely new public park, albeit one very much rooted in its particular history and ecology. Northwest of Tempelhof, the 36-hectare Am Gleisdreieck Park of today is in some ways a microcosm of the many types of green spaces in its surrounding city. Located on a disused railway site, the park’s name means “Triangle of Rails” and its history is still quite visible through the historic infrastructure incorporated into the park design. The site plan transformed this previously abandoned space into “two halves,” a buzzy western park developed with sports fields, play areas and a sun terrace, and a quieter and more naturalistic eastern park, incorporating a nature preserve (das Wäldchen) and preserved sections of the historic tracks. A key aspect of the park is the preservation of the unique ecologies that proliferated in its years of abandonment, including the grove which grew undisturbed on the goods yard site over about 50 years. The park opened in phases in 2011 and 2013 after a public process and design competition won by design firm Atelier Loidl. While now a celebrated public space, the site initially represented a complex array of stakeholder interests, ranging from the privatized railway company, to the Berlin City government, the three adjacent Bezirk (local district) governments and the developers from nearby Potsdamer Platz, which largely financed the park development. Parts of the site also served as a staging area for Potsdamer Platz—at the time, considered the “largest construction site in Europe”—for a significant amount of time prior to its identification as future park space. As was the case with Tempelhof, community groups had an active role throughout the design process. In particular, community group “AG Gleisdreieck” was a consistent voice advocating for the preservation of the space as parkland and for the implementation of an “inter-national” community garden. 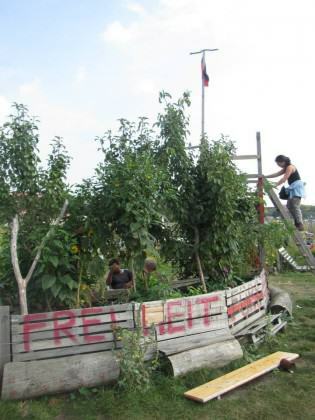 The group began advocating for community gardening on site as early as 15 years before completion, with interest partially piqued by an international conference on micro-farming at the Technical University of Berlin. The group later began an intercultural local agriculture project on site, modelled after the Community Gardens of New York. These gardens moved into use before the official completion of the rest of the park and the surrounding park was then designed to accommodate them permanently. Once the City proposed the site for park use in 2006, a public engagement process began to determine the design priorities. Initially, the City sent 1600 surveys to all within a 20-minute walk of the park, garnering 400 responses, a response rate roughly equivalent to that at Tempelhof. Walking tours of the site and its unique ecologies drew 2200 neighbors, and developed the project slogan of “Off we go to the Park at Gleisdreieck,” on account of the labelled balloons at the tour meeting points. Other public events included workshops, exhibitions of design competition concepts and a “planning weekend” with the short listed landscape architects from the design competition. 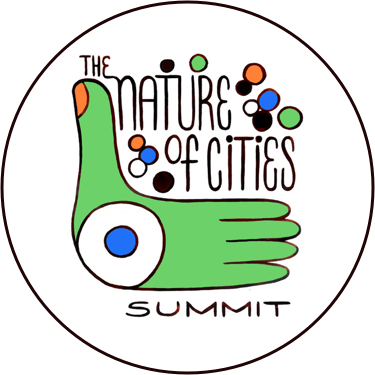 Designers who entered the competition were required to participate in the planning weekend and the City heralded the event as a success, both in terms of participation and ideas generated. Roughly 500-600 citizens attended the weekend, which featured moderated forums and an exhibition of design concepts that encouraged direct dialogue between the designers, jury and citizens. The design firms used the overall community comments from this weekend to continue to develop their proposals and the jury also used the event as a compass for selecting the overall competition winner. A parallel online engagement process collected resident citizen concepts for the park, with roughly 500 concepts proposed through this medium. Finally, as the design process gained momentum, 32 working groups were established to inform the development of the plan. These many moving parts of the community engagement process involved people from the three adjacent districts of Kreuzberg, Schoenberg and Mitte and galvanized community interest in a space that had the potential to unite the three districts. The only criticism that City officials have articulated was a difficulty in fully engaging the immigrant communities, despite focus group invitations, translated surveys and other efforts. The City found that two primary interest groups existed within those engaging in the consultation process: one sought a quiet, natural park and the other was interested in a heavily-programmed park offering opportunities for sports and activities. From these interests, and the unusual geography of the site, the concept of the “park of two speeds” emerged. Another main theme from public dialogue that influenced the design process was Spurensicherung—the gathering of evidence, or the protection of the traces of history (and tracks) on the site. This wide range of uses within the park framework can also be at least partially attributed to the themes emerging from extensive public consultation. The community gardens were one clear priority for the surrounding community. In addition, the now highly successful “Experiencing Nature” pilot project—a natural area for children’s exploration—was also developed from community concepts. Am Gleisdreieck is something special—a park that preserves unique ecologies while also providing attractive spaces for active recreation and fulfilling community visions of what the space could be. The extensive conversations with surrounding communities throughout the design competition and planning process should be considered an exemplar for other parks in Berlin and internationally. The current process of consultation at Tempelhof is in some ways more complex given the history of the site, the legal framework established by the Referendum and the cost realities of managing such a vast green space. However, the extensive process recently launched by the City indicates an interest in finding a feasible site management approach compatible with community interests. Over the next 10 months, time will tell how community groups engage with the process and what will community-generated concepts can be embedded in the park management plan, perhaps also creating a model for interested communities further afield. 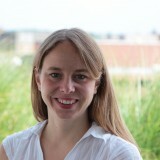 An urban planner and researcher, Katharine Burgess is the Director of the Urban Resilience program at the Urban Land Institute. Over the past twelve years, Burgess has worked in urban planning strategy, community engagement and design research in the private and not-for-profit sectors, including work in the U.S., U.K., and Germany. My name is Refilwe Mphiwa, we have a place we need to develop to a profitable park, we need assistance since we do not have funds. Great article – very interesting.